CALMS provides some excellent resources to each team leader to help him/her get her team ready to serve effectively. Get to Know the Mission Trip - This group is visiting with teachers in San Antonio de Pepinal, Guatemala. 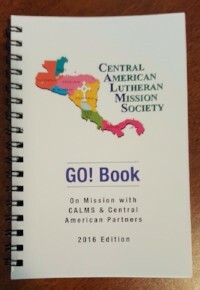 CALMS executive director and other trained leaders also facilitate regular "Get to Know the Mission Trips" for those interested in leading a future team. These are held several times in the spring and fall. The purpose of these on-site trips is to expose future leaders to a Central American culture, share important information about the church and its leaders, do hands-on cultural analysis, learn how to communicate the Gospel in a cross-cultural setting, and to understand the logistics involved for a specific project and what is involved to get from one place to another. CALMS also provides regular orientation and training for team leaders through webinars and conference calls. Where practical, we also are available to help prepare teams through face-to-face workshops. 1) CALMS sends copies of an excellent resource we have developed called the CALMS' GO! Book for each team member. 2) CALMS is prepared to share photos, Powerpoint presentations and stories about specific countries and ministries to help your team understand the setting where they will be serving. 3) CALMS will encourage each short-term leader to join the CALMS Team Leaders Facebook group to network and share resources with other team leaders. 4) Depending on the nature of the team, CALMS shares additional helpful information with the team leader. a)For example, medical team leaders receive a formulary list to help choose the right medications to take along. Medical leaders going to Guatemala also receive a history of the medical clinic in Guatemala and are asked to sign a covenant document that outlines the responsibilities of all the partners. b)Housing team leaders will receive information about the family their team will be helping. They will also receive a design for a plaque that they are asked to prepare to present to the family on dedication day. Housing team leaders also are asked to sign a covenant document outlining the responsibilities of all the partners involved in the project. c) Teams that involved in a capacity-building project such as a seminar for a congregation will receive information about the congregation's history and situation as well as a list of previous workshops shared with that congregation. 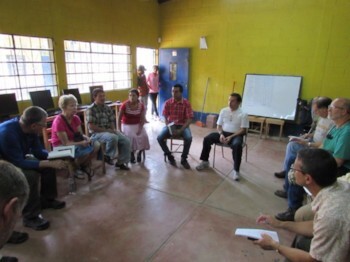 Based on our experience with these congregations and through dialog with our Central American partners, we will also help you determine the most effective ways to approach your seminar so that it will have maximum effect.